Hello everyone! This has been a very exciting and busy few days for me as I am about to graduate university! Even with all this excitement I still made sure to find some time to grab coffee at a new spot with my infamous coffee partner, Alan. 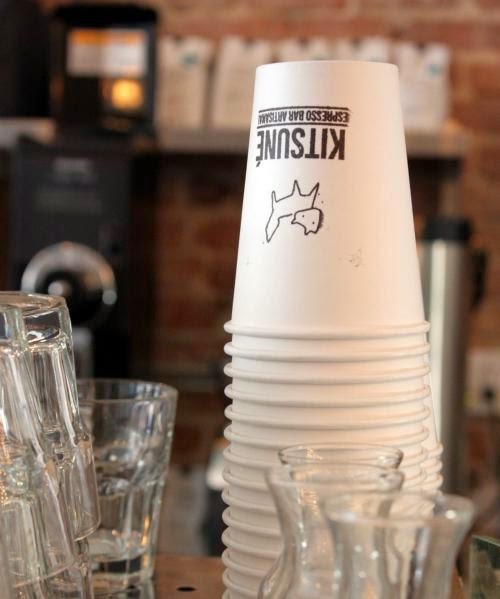 We decided to visit some friends in the plateau area and ended up stopping at a new cafe called Kitsuné, right on St. Laurent and Prince Arthur. This little spot was so cool! The decor was so unique, it was industrial yet chic. Alan ordered an Americano and I got a latte. I was pleasantly surprised by the good prices too! I wanted to get my latte with lactose-free milk but they didn't have any so I got it with almond milk - bad decision. My drink just tasted really strong and a bit bitter overall and it ended up being really hard to drink. I guess that's what happens when you don't choose the right milk!! 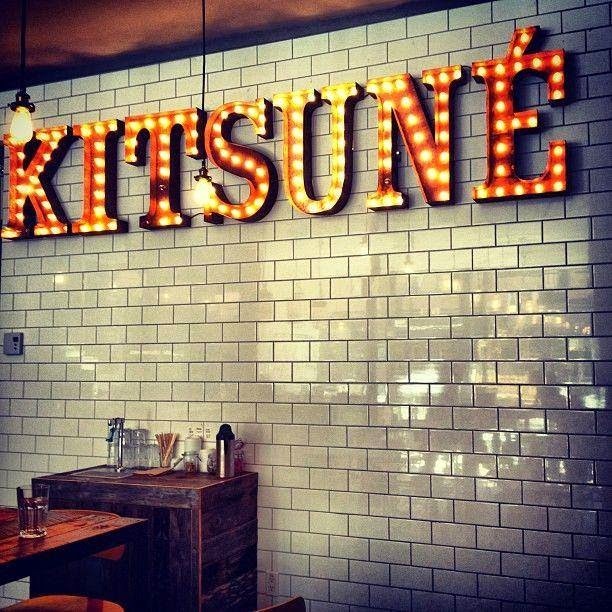 Of course the cafe's logo is a fox because kitsuné means fox in Japanese. I found out that the owner loves cycling. This explained the special area in the cafe that was dedicated to storing bicycles. How convenient for people that bike everywhere! I also found out that the owner is a huge music fan. Apparently you can bring in and spin your old records on Wednesdays for free coffee! I really liked the atmosphere at Kitsuné. It wasn't as crowded as other coffee shops, and it was super close to the main street. I loved the small scale feel of this cafe and would love to go back to try another type of coffee - with regular milk this time! Update: This café is now called Nocturne.